Kay Mills, freelance writer, worked for the Los Angeles Times for 13 years, including a stint on its editorial board. She has a B.A. in political science from Pennsylvania State University and an M.A. in history from Northwestern University. In addition to her work at the Times, Mills worked for Senator Edmund Muskie during the 1970s and for the Newhouse newspaper chain. 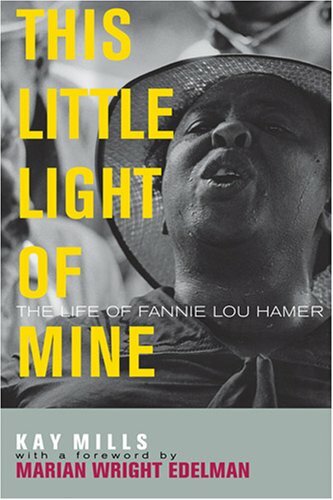 Kay Mills's books include A Place in the News: From the Women's Pages to the Front Page and This Little Light of Mine: The Life of Fannie Lou Hamer, a biography of the civil rights activist from Mississippi. Harold D. Grotevant ,290 McNeal Hall ,Dept. of Social Sciences, University of MN at St. Paul.